Office Blinds & Glazing Ltd specialises in the nationwide supply and installation of commercial fire rated doors and screens. All of our products are fully tested and certified, and comply with the standard BS476 regulations. Fire doors are essential in every commercial building, and the requirements for which types of doors needed will be disclosed in the buildings’ regulations. Fire doors really do save lives, and they are there to make sure that people can safely and quickly evacuate a building without having to endanger themselves further by battling through hot flames or smoke. Think of them as acting like a ‘barrier’, to prevent the spread of a fire and protect everyone inside the building. 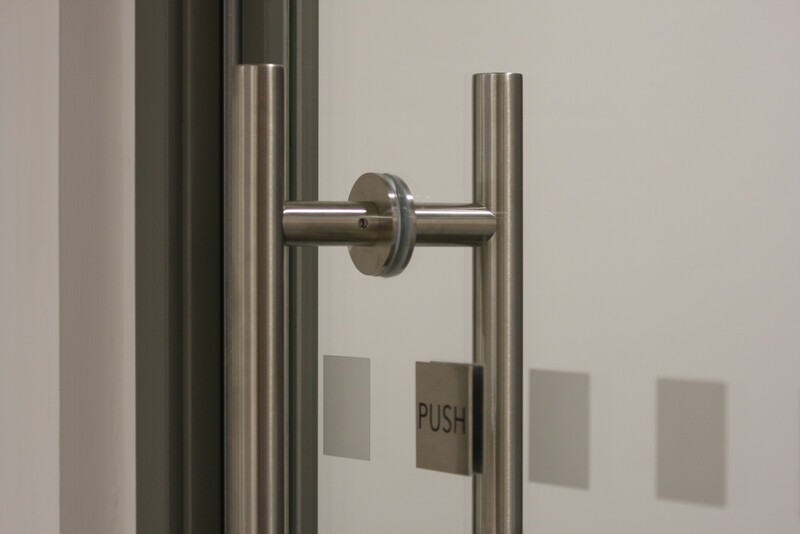 There are many different types of commercial fire doors available – from full glass to steel, solid timber doors, composite and many more. 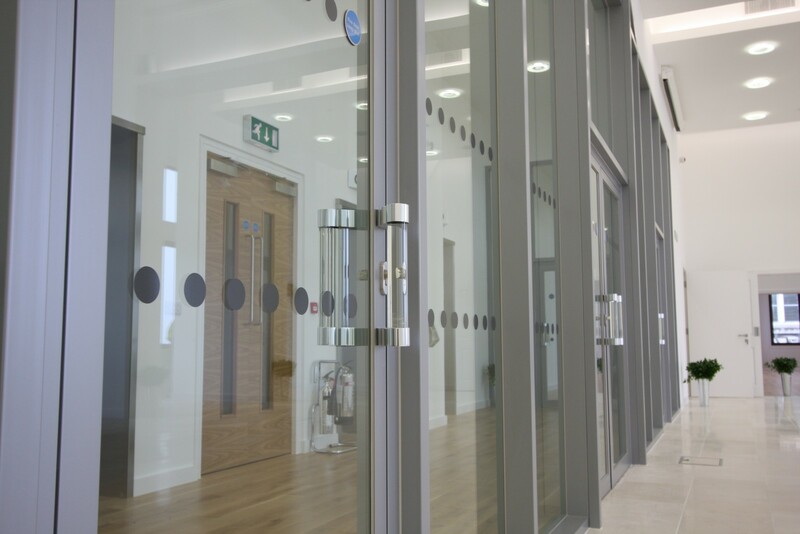 Different types of commercial buildings such as office, factories, retail outlets, restaurants and more all have different requirements when it comes to the look and functionality of their fire doors, which is why there’s such an extensive range available. While fire doors can’t prevent a fire, they can slow down the escalation of fire and stop it from spreading around the building. By preventing the smoke and hot flames from travelling around the building by keeping it contained in one area, they can help to dramatically reduce the damage caused. It’s important that a suitable number of fire escapes are present in any building, to ensure the safe evacuation of occupants in the event of a fire. Before fire doors are installed, escape routes need to be planned out and exit points identified. By segregating areas of the building and using fire doors to create a route to safety, they significantly increase the amount of time people have to safely escape. Another benefit of fire doors which may be less obvious, is that they help to provide some protection to fire fighters and rescue services upon entering the building. Of course, this depends upon the fire rating of the doors, and how long they can remain effective for. It’s important to have the correct type of fire door with an appropriate rating in the correct locations of the building. For example, in locations such as escape routes where it’s crucial that the fire is held back for the longest time possible, the highest rated door should be used. Choosing the right fire doors isn’t always difficult, but ensuring that they’re always properly maintained can be. Having a fire door that’s been poorly installed or maintained is just about as useful as having an empty fire extinguisher hanging on the wall. It’s crucial that you ensure all fire doors are properly certified, and installed by a professional. Cutting corners by turning it into a DIY job or opting for cheaper, substandard doors might save you money initially, but it won’t be worth it should they ever be put to the test for real. Even if you did everything by the book the first time around – had safe fire doors properly fitted by a professional company – but that was a couple of years ago. Those doors will have received a lot of wear and tear over their time, and it’s possible that the doors can no longer be deemed fire safe. This is why regular maintenance is important – checking hinges, latches, locks and everything else every few months just to ensure that they’re functioning as they should. Fire safety should be a top priority for any business, no matter the size of the building or the number of employees. Find out more information about the importance of fire safety in the workplace here.